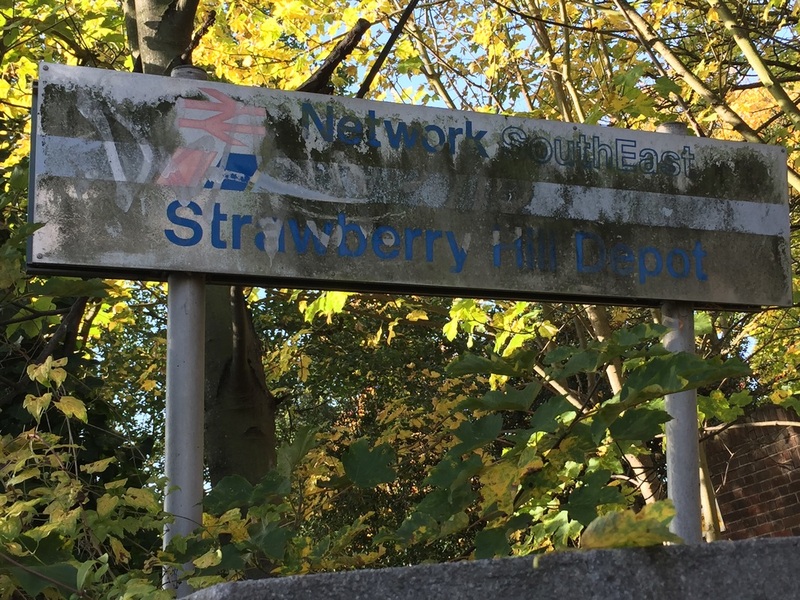 Network SouthEast 'Strawberry Hill Depot' sign still in place. Network SouthEast. Taken 31st October 2015. 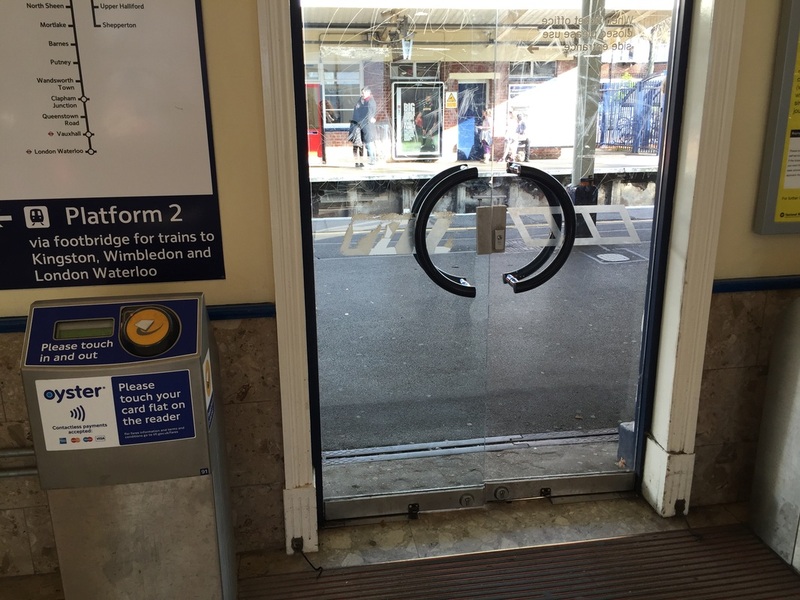 Exit doors from booking hall onto platform feature 'NSE' logo at Teddington Station. 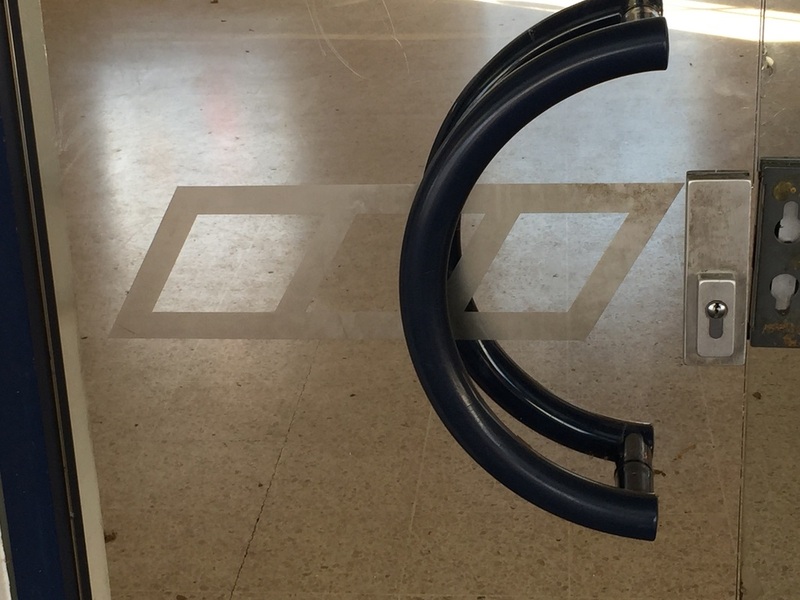 'Network SouthEast' logo on doors at Teddington Station. 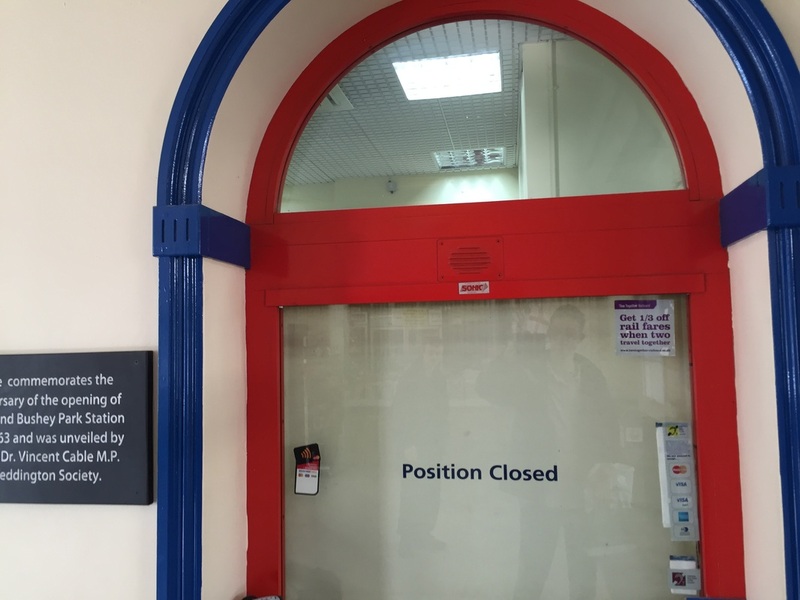 Ticket office sales window, still in full NSE surround at Teddington Station. 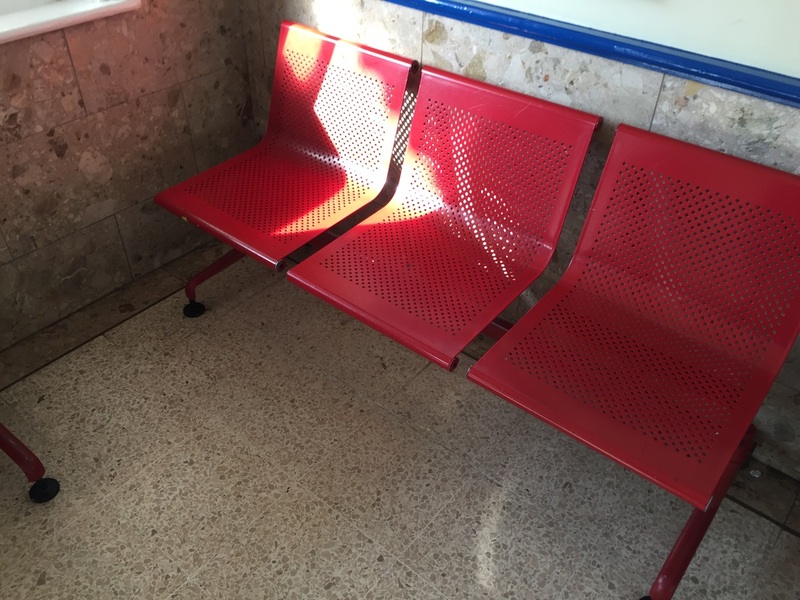 Network SouthEast seating at Teddington Station. 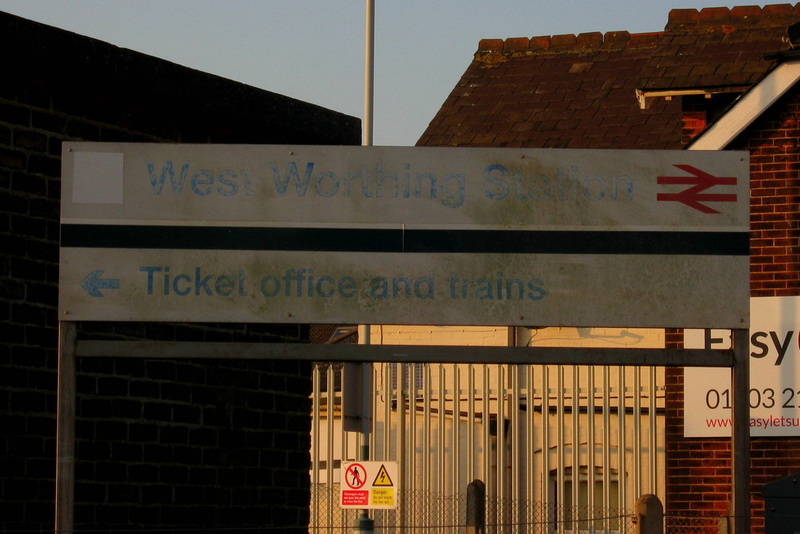 The 'Network SouthEast' sign outside the station and the NSE branded 'Car stop' signs are the only survivors at this LTS Line station. 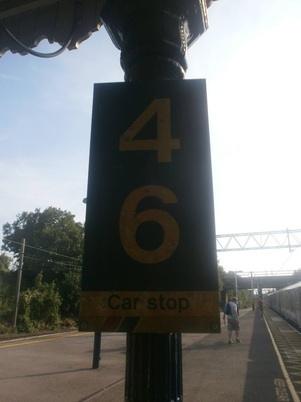 S Car stop Sign at Thorpe Bay Station. 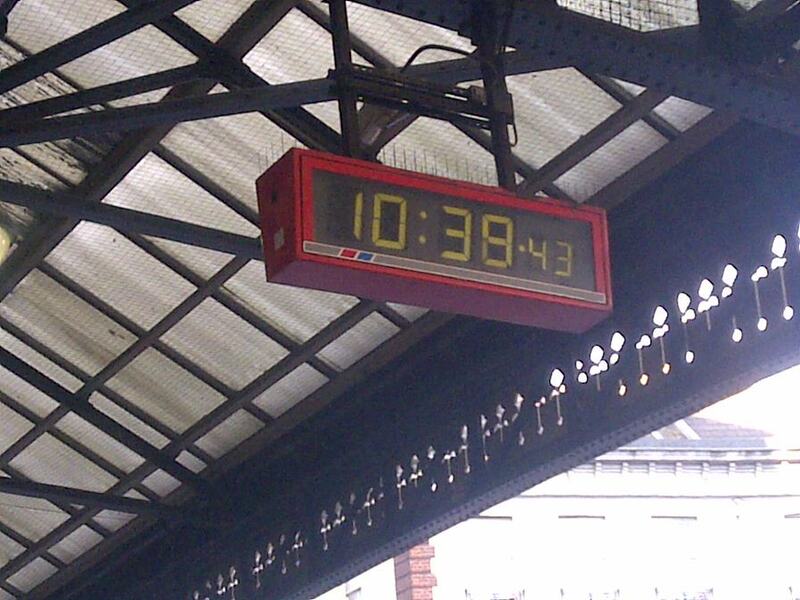 This now Great Anglia managed station still has NSE branded clocks still in full working order on Platfoms 1 & 2. 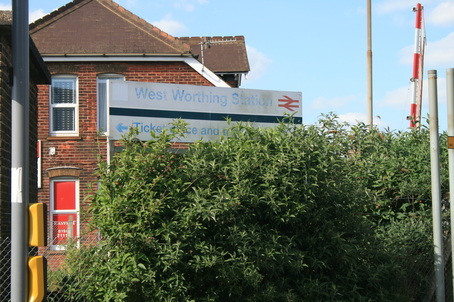 Taken on 1st July 2013.
this Station. Taken on 14th September 2015. NSE branded clock at Tottenham Hale station. Information & Photo supplied by Chris Griffiths. 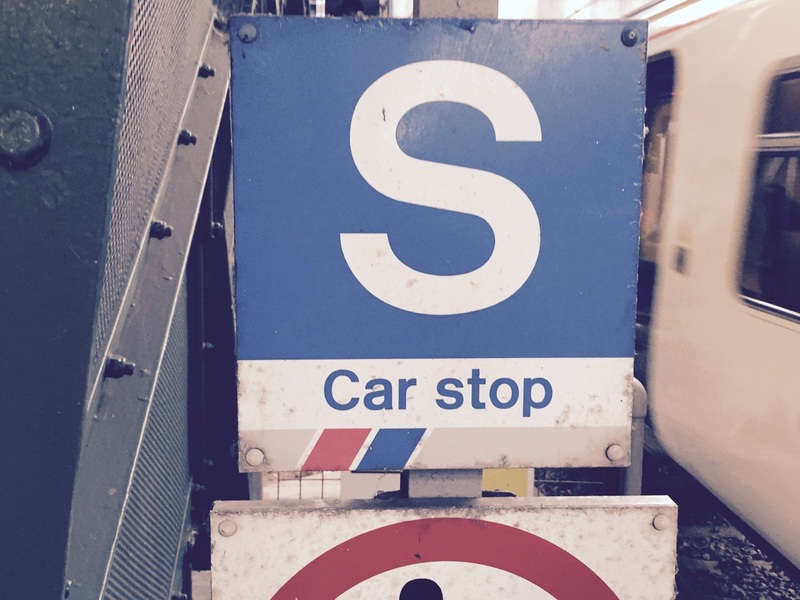 S Car stop Sign at Tottenham Hale station. 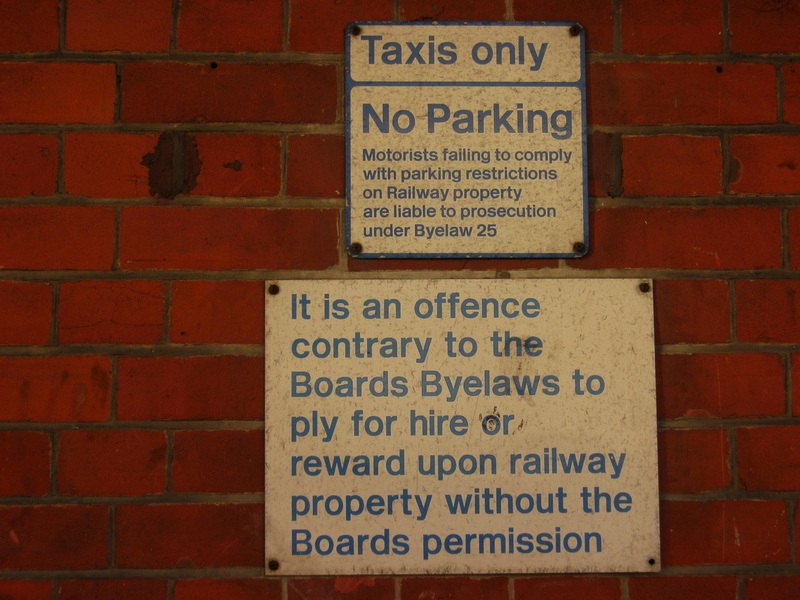 This location still has NSE signage present which is located on the wall adjacent to the cab rank outside at this Southeastern Station. Taken on 14th Feburary 2014. Network SouthEast 'Taxi Rank' sign outside Tunbridge Wells Station. This London Terminus has NSE clocks still dislayed and working. 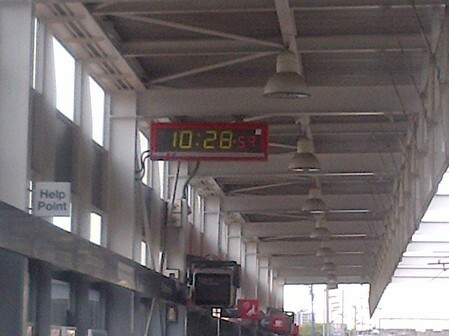 The 2 featured clocks are seen outside the main entrance and on Platform 19. Another is also reported on Platform 16. 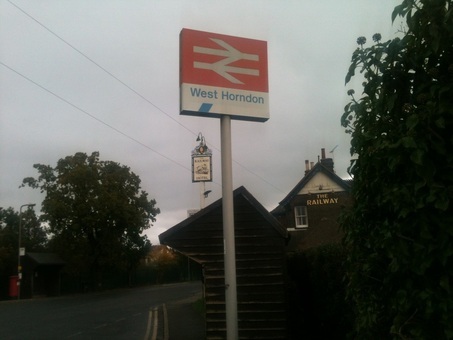 Taken on 17th January 2013. 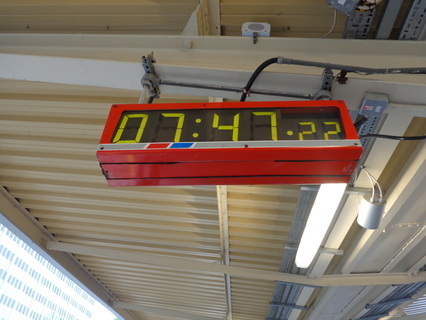 Victoria Station NSE clock located outside main entrance. 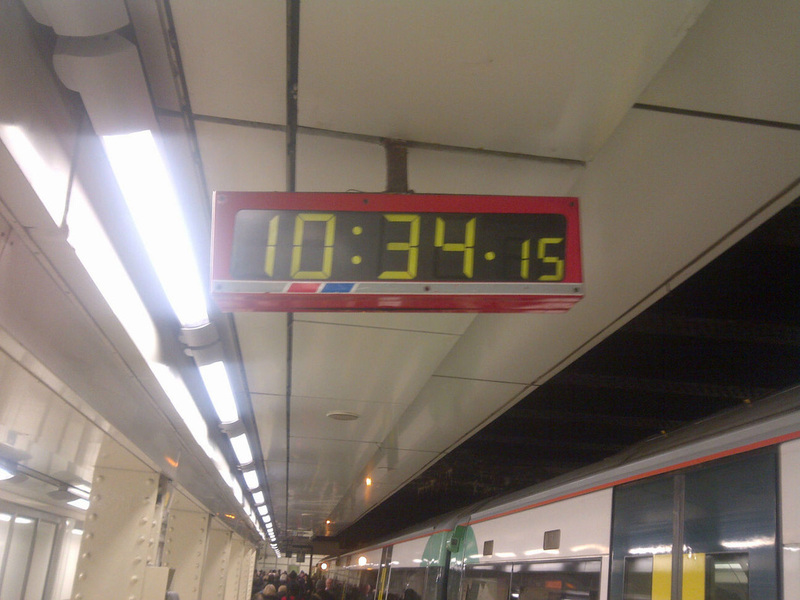 Victoria Station NSE clock located on Platform 19. Another clock still in fine working order located on Platform 1 at London's Victoria Station, these clocks have certainly lasted well over the years !! Taken on 10th August 2013. 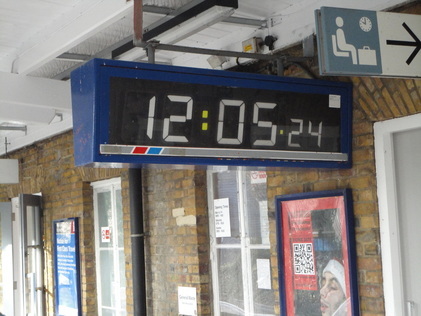 Victoria Station NSE clock located on Platform 1.
now blue,still survives. Taken 23rd December 2012. 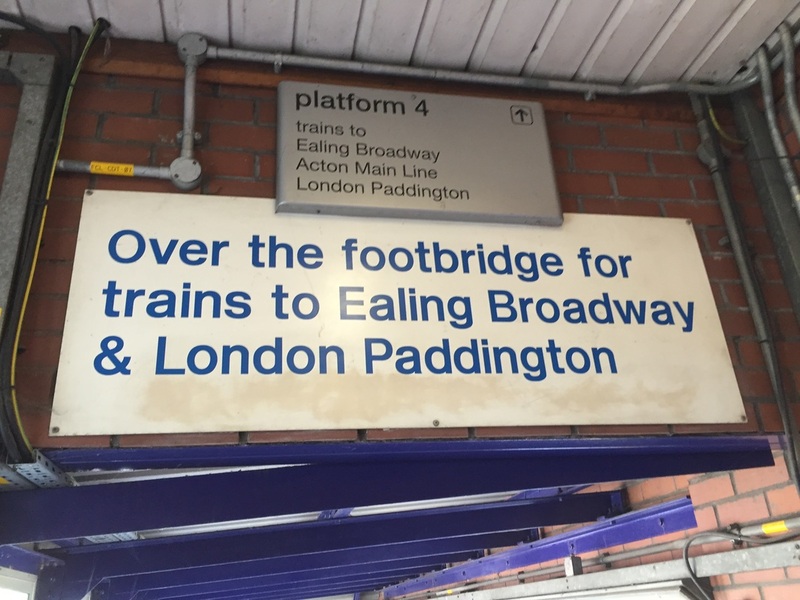 The presence of Network SouthEast can still be found at the Station, the window frames although refreshed in Southeastern grey in recent years, now show the NSE original red framework underneath in places and NSE typeface text & tilework can still be seen on walkway walls, although partially obscured by redevelopments. Taken on 6th December 2014. 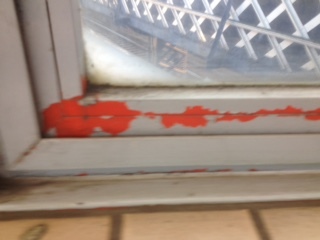 Network SouthEast RED window frames at Waterloo East Station. Network SouthEast tilewrok and typeface at Waterloo East Station. 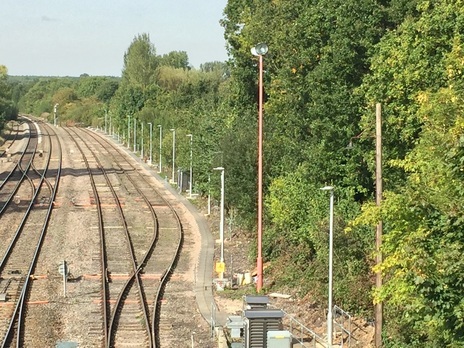 A NSE Red lamppost still survives on a footpath leading up to this busy Hertfordshire Station. An overhead powerlines sign is also still in place. Taken on 5th August 2014. Lamppost at Watford Junction Station, still holding its coat of NSE paint. 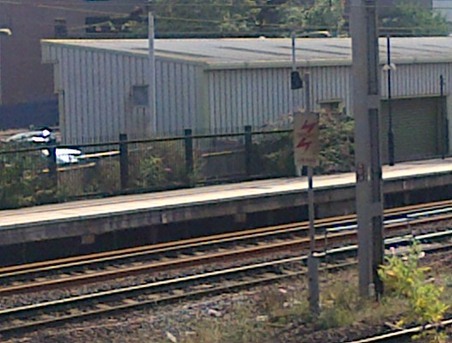 'Overhead electric line' warning sign, from the NSE era. (Apologies for quality). Information & Photos supplied by Joell Fears-Caines. 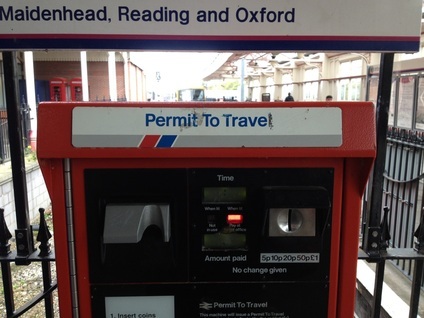 Two of these NSE installed car park ticket machines still survive at this SouthwestTrains operated station. 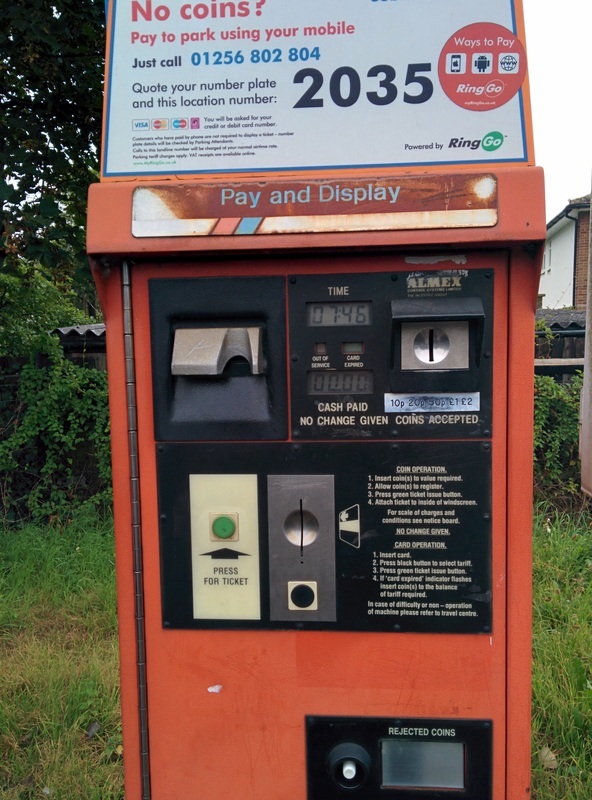 ​Taken on 16th September 2014. NSE Car park ticket machine at West Byfleet station. 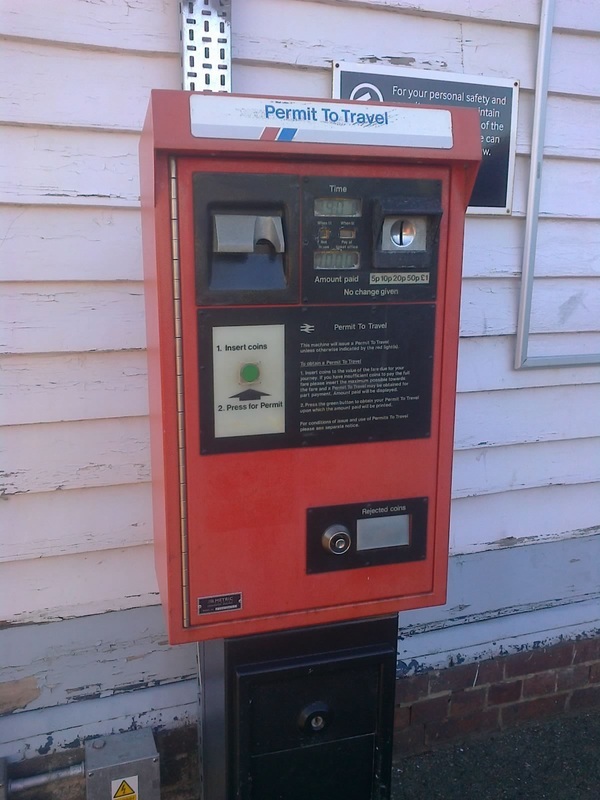 This NSE PETRIS machine still remains in use at this Great Western operated station on the former Thames Line.Taken on 30th December 2014. 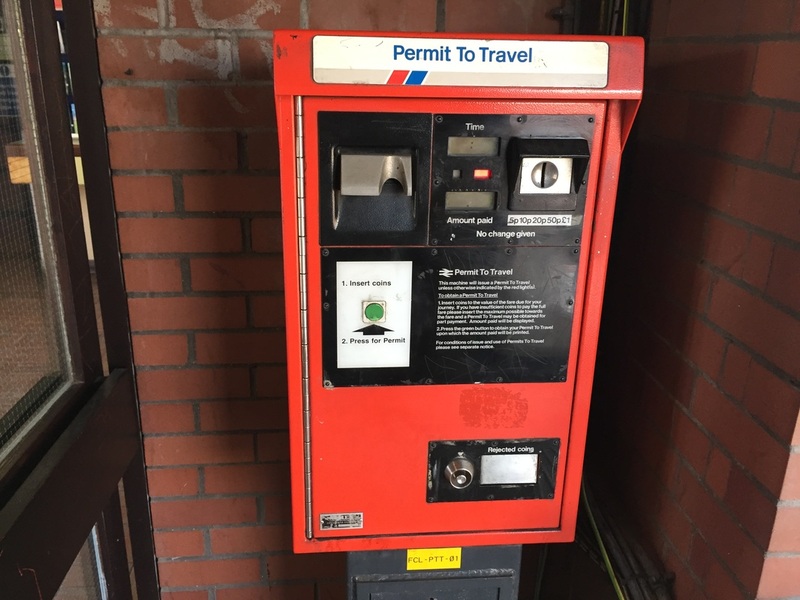 NSE pertis machine at West Ealing Station. This GWR managed station still very much lives in the Network SouthEast era from when the station was rebuilt by NSE in 1987. 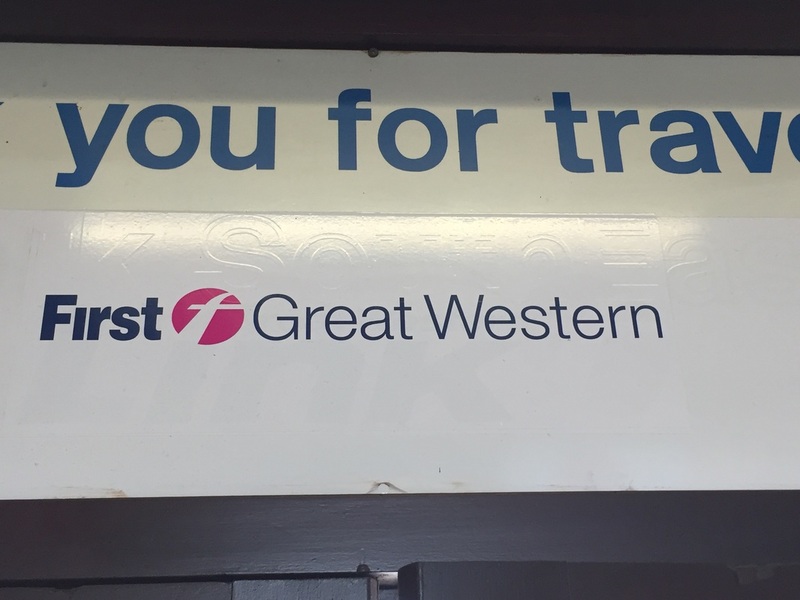 'Thank you are travelling Network Southeast' on a sign can be seen if you look very closely !!! Taken on 29th September 2015. 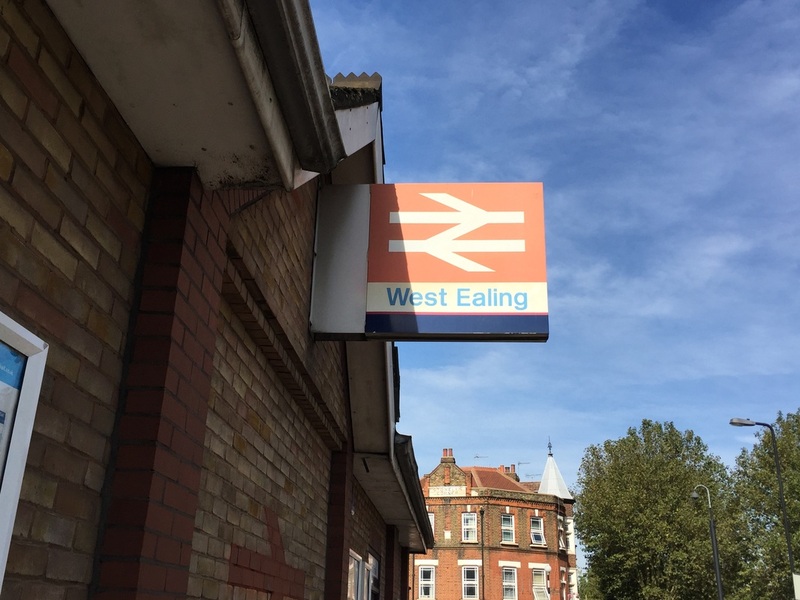 Network SouthEast sign at West Ealing station. Network SouthEast PETIS machine at West Ealing station. 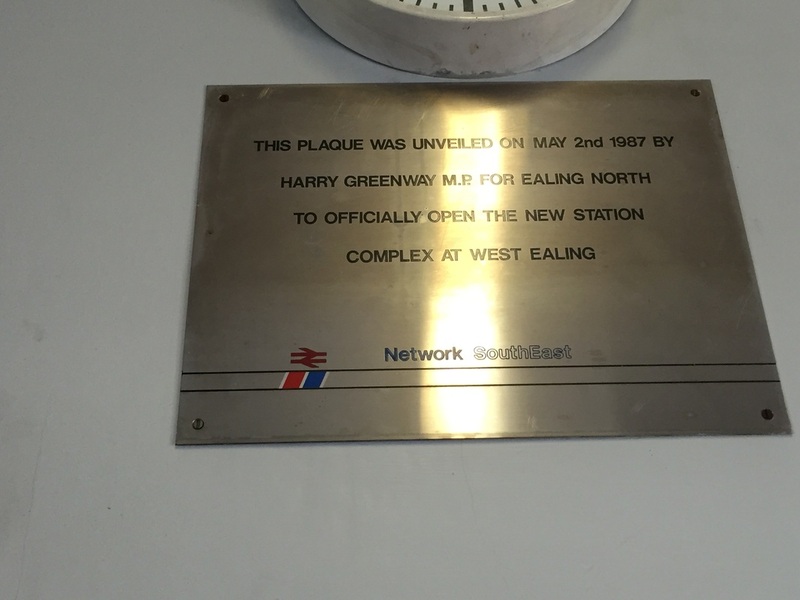 West Ealing Station rebuilding plaque. 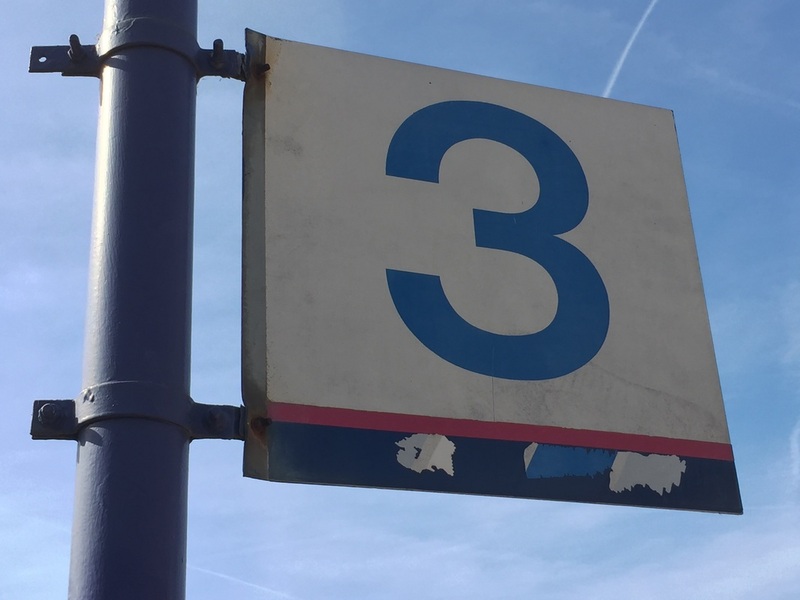 Network SouthEast installed sign giving directions to 'Platform 3'. 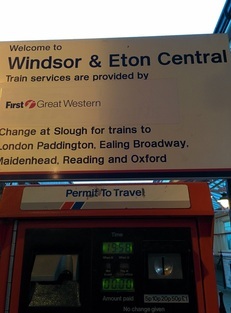 Network SouthEast installed sign giving directions to 'Platform 4'. Network SouthEast sign in platfom 3 - with flash partialy uncovered. 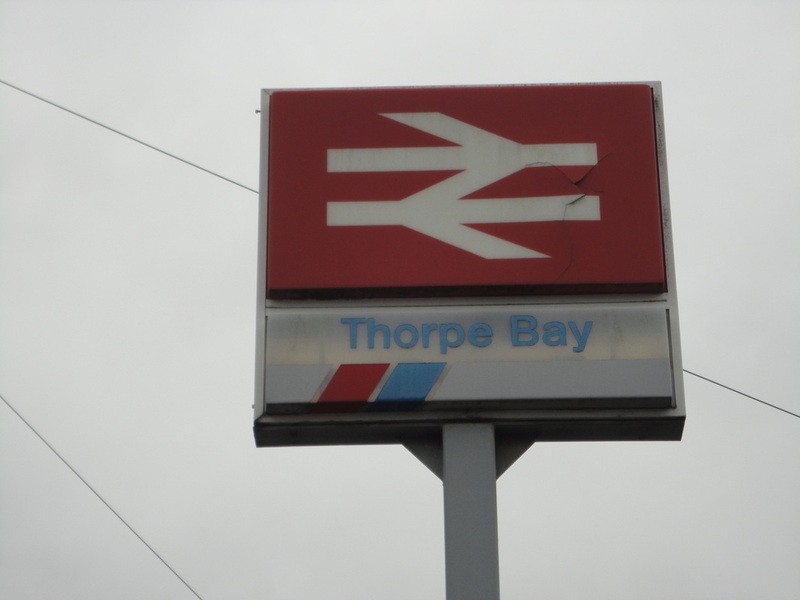 Network SouthEast station exit sign, with NSE obsured on bottom line. The words 'Network SouthEast' can be seen on this sign - although obsured. 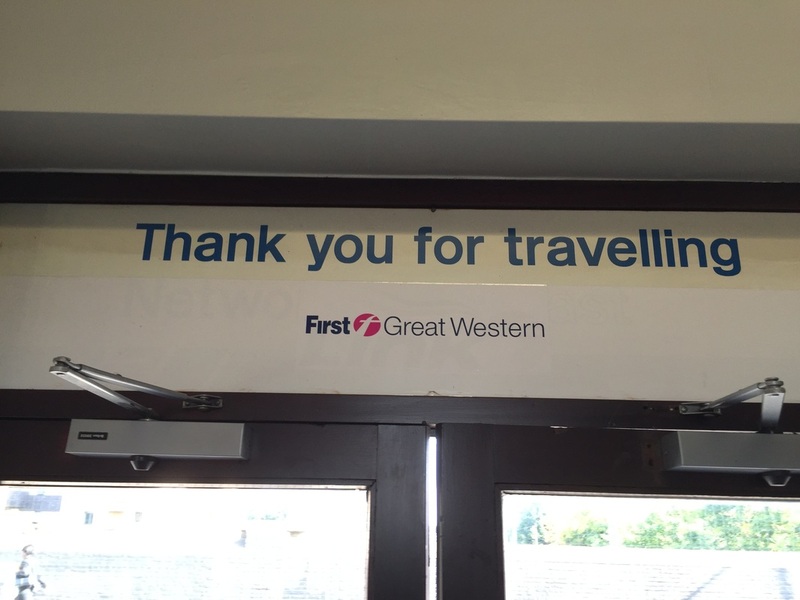 'Thank you for travelling Network SouthEast'. 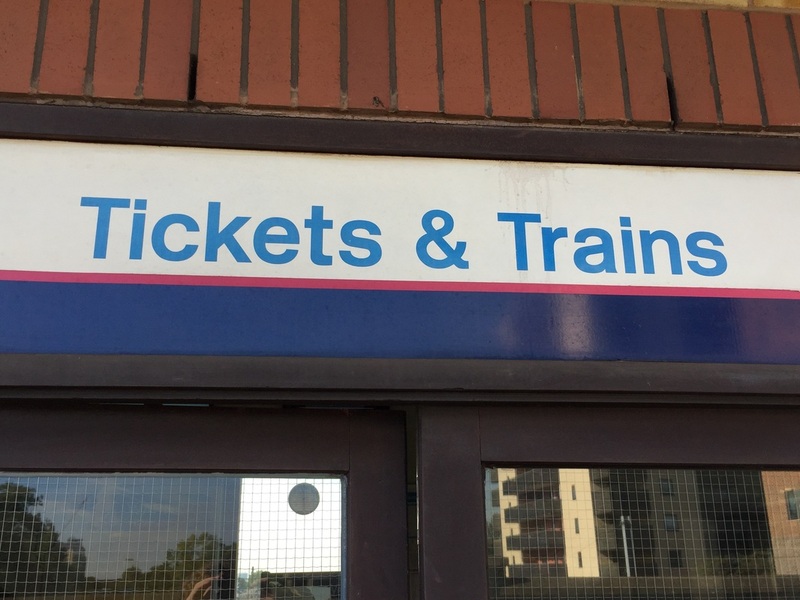 Although the words 'Network SouthEast' are now obsured, the indentation of the lettering can be very much seen if you look very closely !! The reversing siding at this Chiltern Line station, still has a Network SouthEast 'Red' floodlight pole contained within it . 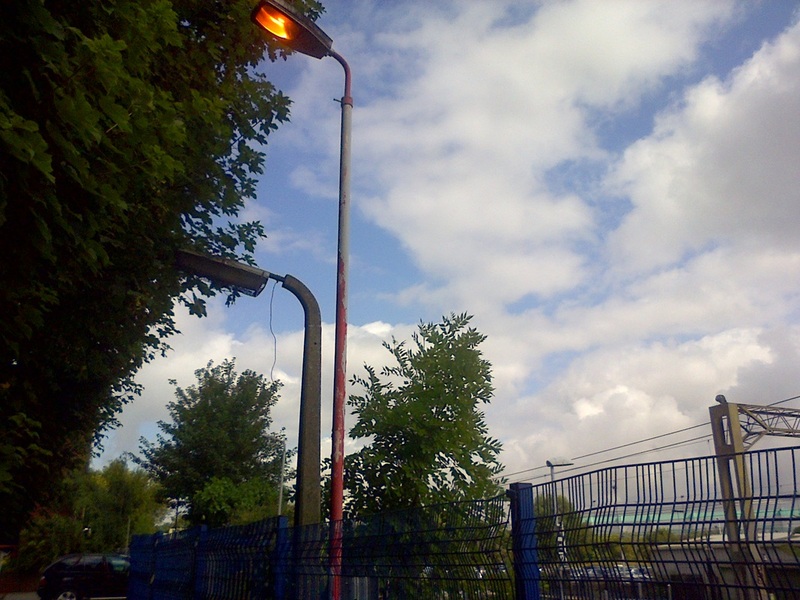 Network SouthEast 'RED' foodlight pole at West Ruislip. 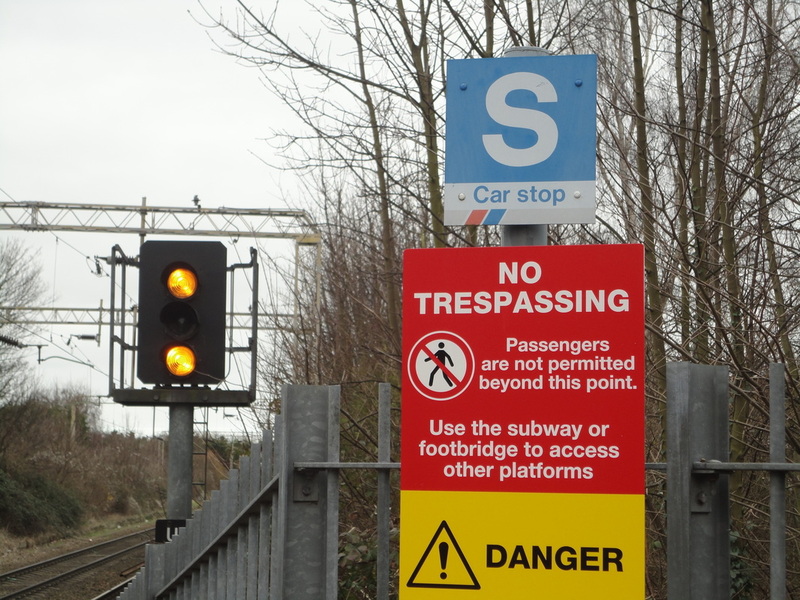 Located in the reversing sidings. 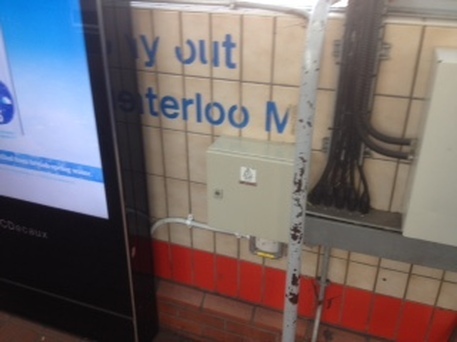 This Station still has a Network SouthEast 'Adverse Weather Equipment' shed on the platform still in it's original paintwork complete with NSE sign. Also the fencing is still holding a coat of 'NSE' red paint - although some what faded now. Taken on 18th November 2015. 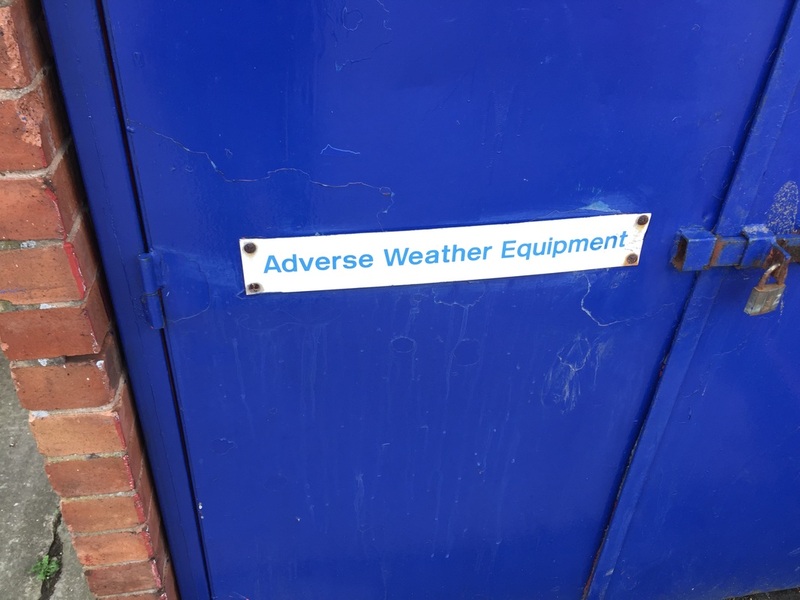 Network SouthEast 'Adverse Weather Equipment' shed at West Ruislip Station. 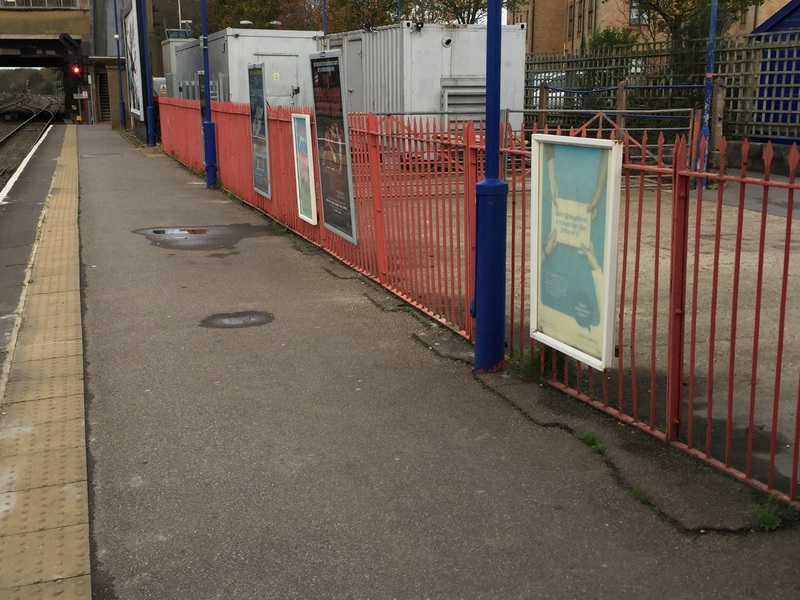 Fencing at West Ruislip Station still in 'NSE Red'. Station Road.Taken on 25th October 2012. East Sussex. Taken on 25th May 2013. West St Leonards Station NSE PETRIS Machine. Information & Photo supplied by Ian Shepherd. This sign is situated immediately adjacent to the level crossing to the east of West Worthing station. 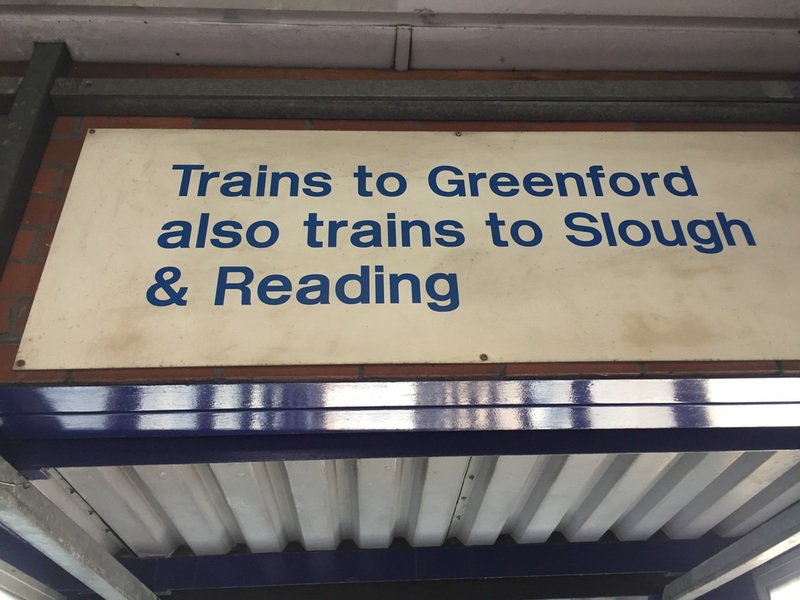 There is no NSE branding, or if there was it has worn off, but the distinctive style of blue lettering remains. Taken on 14th April 2014. 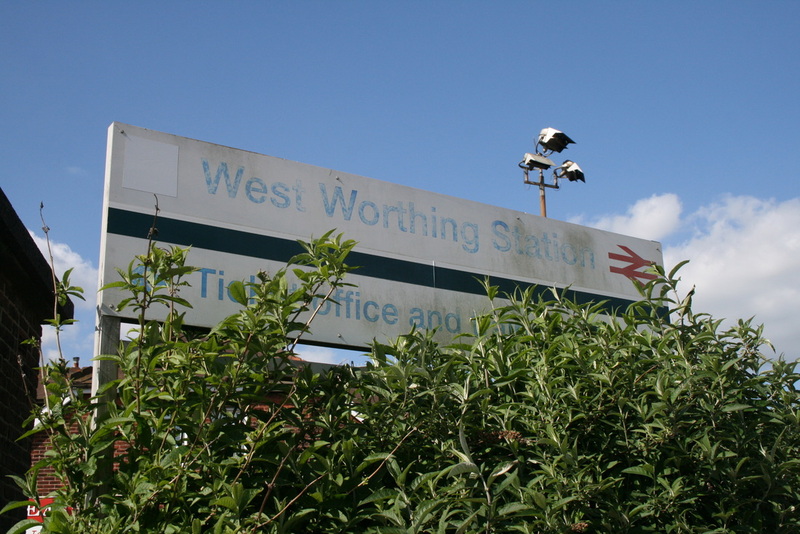 NSE typeface sign at West Worthing Station. 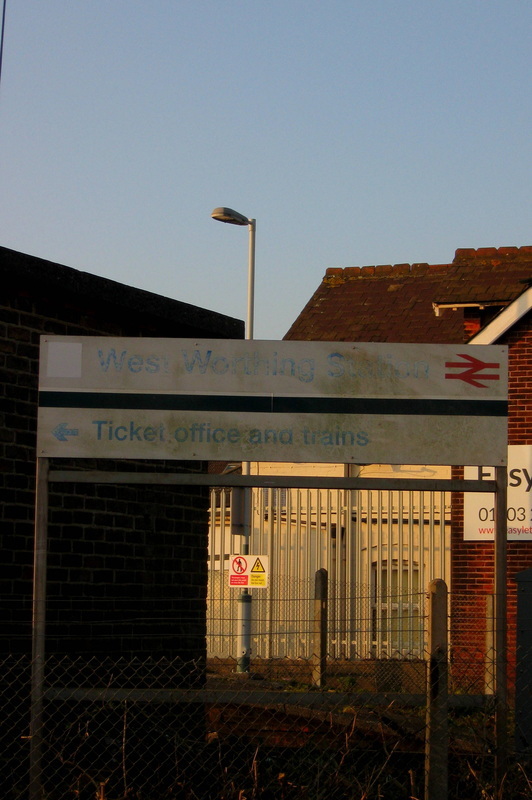 During the course of the winter the bushes have been removed at the Sussex Station revealing in full the badly faded NSE sign as previously reported. Taken on 10th February 2015. All information & Photos supplied by John Chisholm. 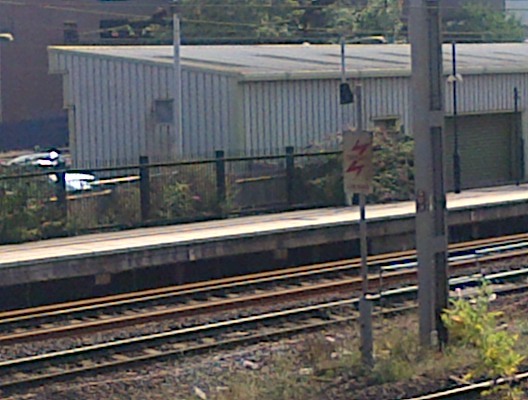 This Station in Essex still has a 'Network SouthEast' Car stop sign on the platform looking towards Southend Victoria. Taken on 24th October 2015. 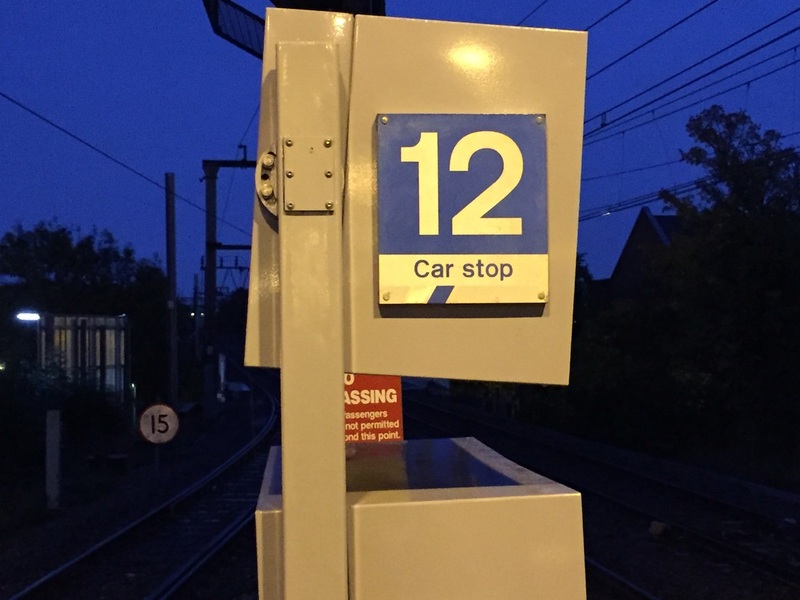 Network SouthEast '12 Car stop' sign at Wickford Station towards Southend Victoria. 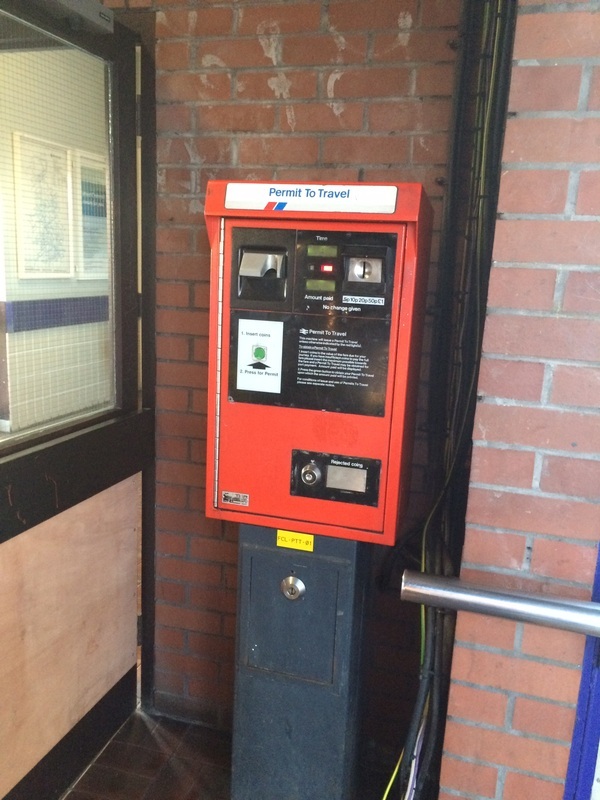 This PERTIS machine is still very much in use at this Great Western Station. 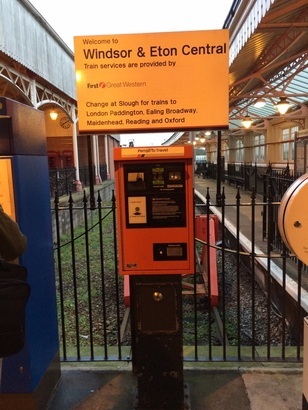 PETRIS machine still in use at Windsor and Eton Central Station. 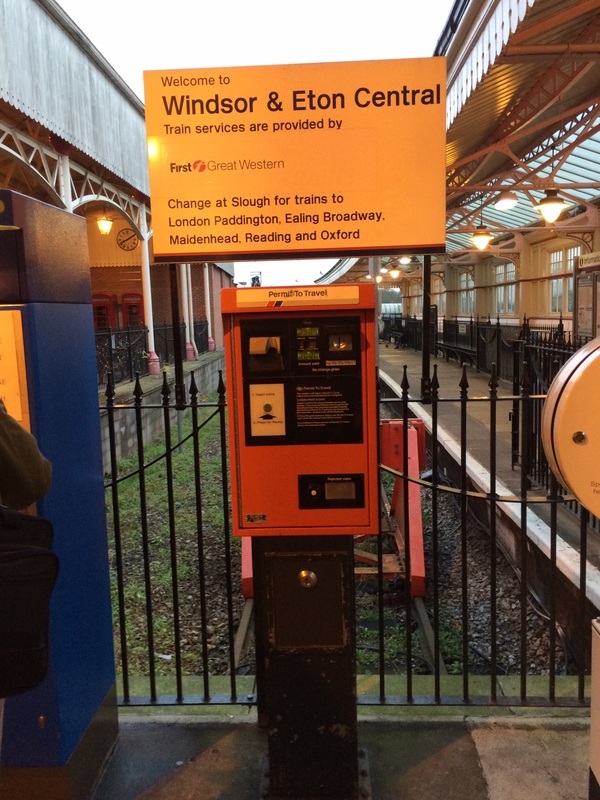 Another photo of the same machine at Windsor and Eton Central Station. 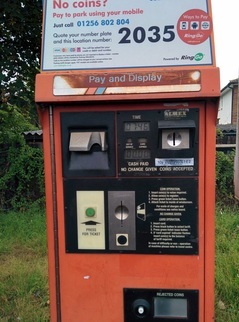 This NSE PETRIS machine still remains in use at this Great Western operated station on the former Thames Line.Taken on 28th November 2014. This Essex station still has a NSE branded 'Car stop' sign. Taken on 22nd July 2013. 4/6 Car stop Sign at Witham Station.